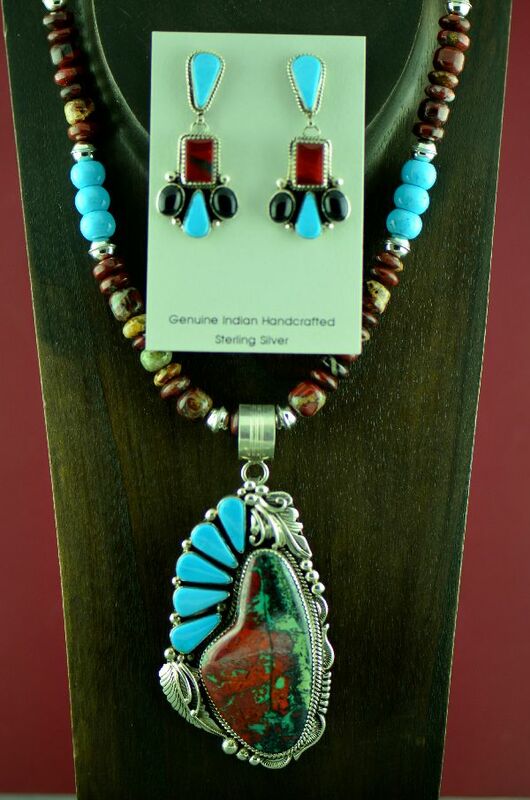 Now this is a stunning piece to add to your collection! 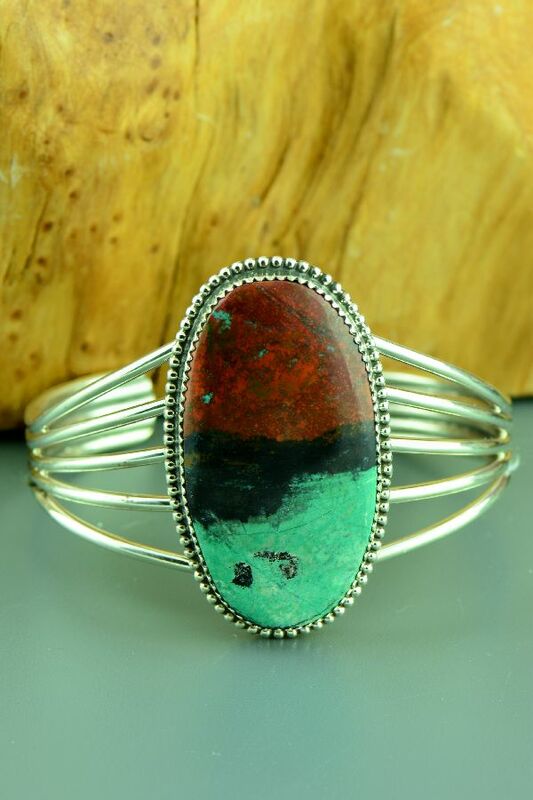 This nice sterling silver Sonoran Sunrise bracelet is handcrafted by Will Denetdale, Navajo. 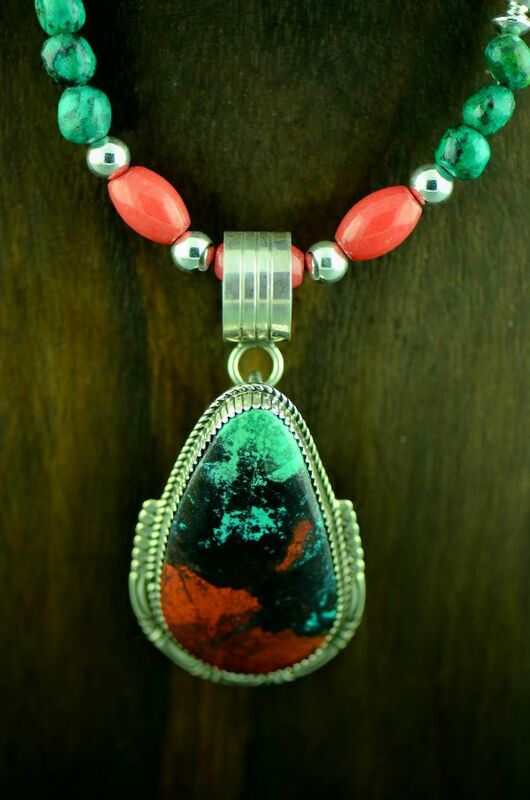 The artist has selected a beautiful Sonoran Sunrise stone to create this piece of art. 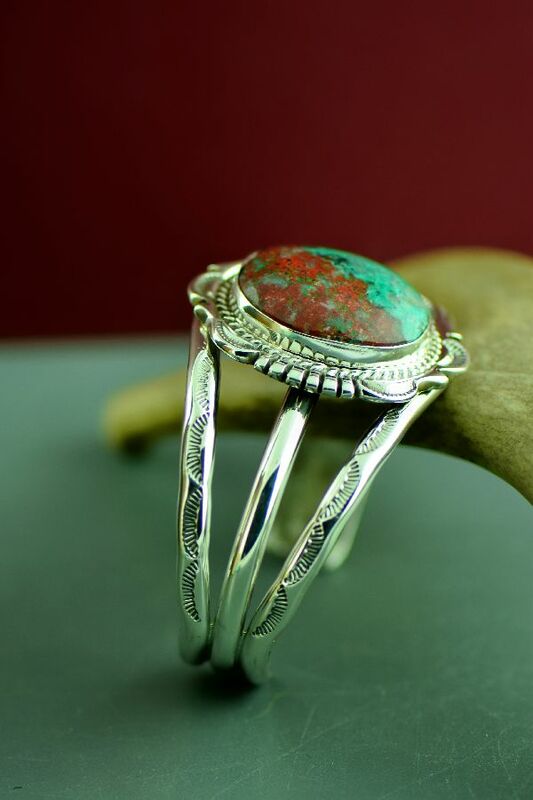 The Sonoran Sunrise stone is set in a smooth bezel surrounded by a rope design and hand stamp work. The Sonoran Sunrise measures 1” tall by 7/8” wide. 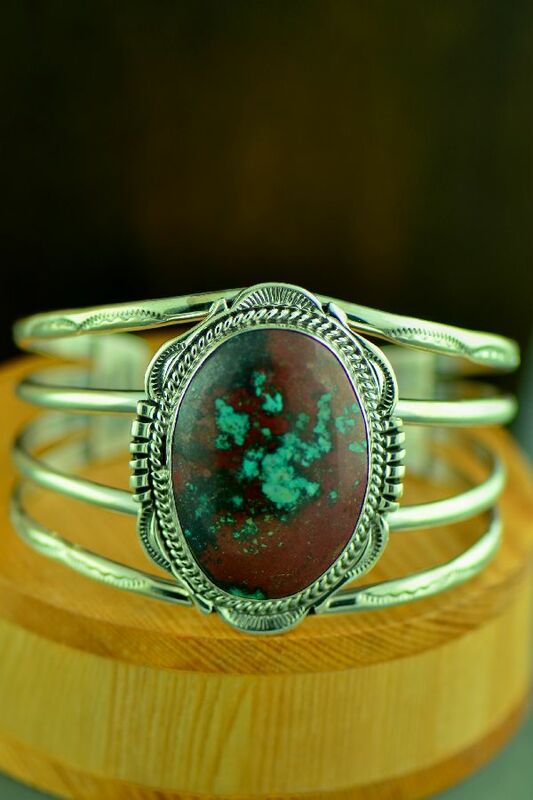 This bracelet is 1-1/2” wide and will fit a 6” to 7” wrist with a 1-1/8” opening. 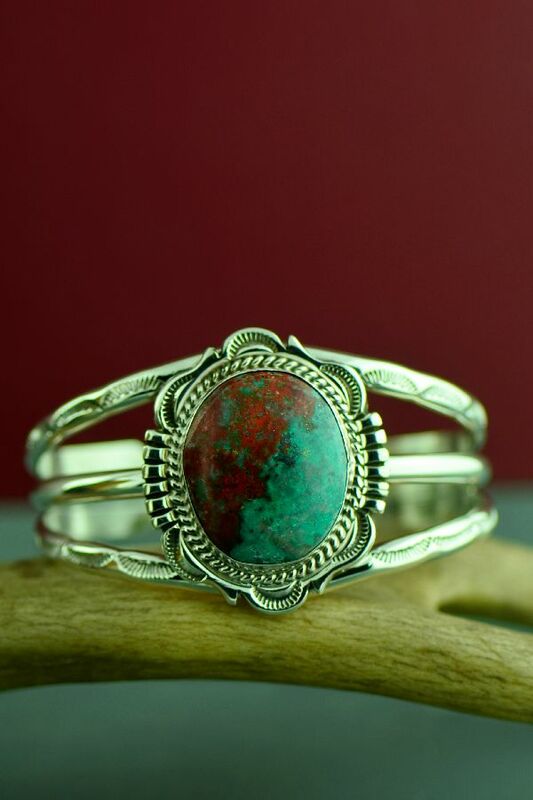 This bracelet weighs 46.493 grams or 1.64 ounces. Signed by the artist. 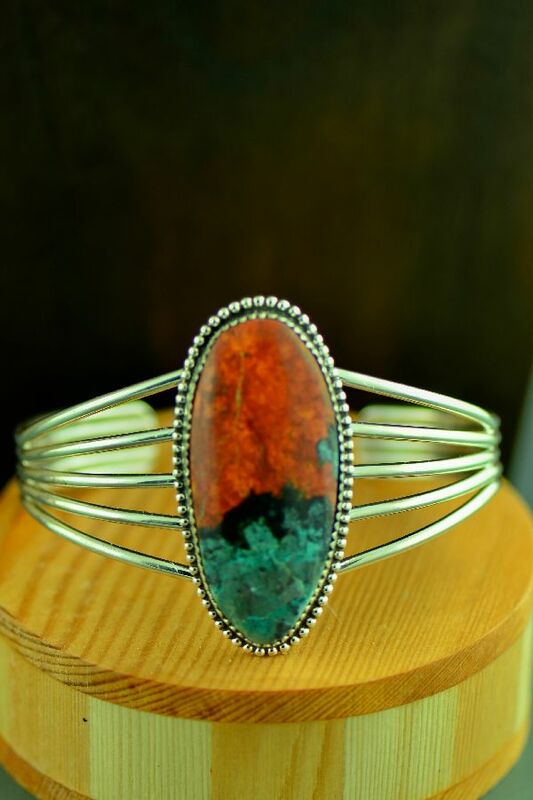 To learn more about the artist, click on the Artist Bios page on the homepage of the website.